Sponsor Star Parker's work by immediately clicking this link and donating $25, $50, $100, $250, $500, or $1,500 or more! 3. Alaska: This pastor found out his minor daughter had had an abortion without consent after she was in agonizing pain in that she was carrying twins and the abortionist only killed one. The survivor of this botched abortion is now an adult and speaking out against abortion. Interestingly and for the record, all three of these stories were told to me by men. 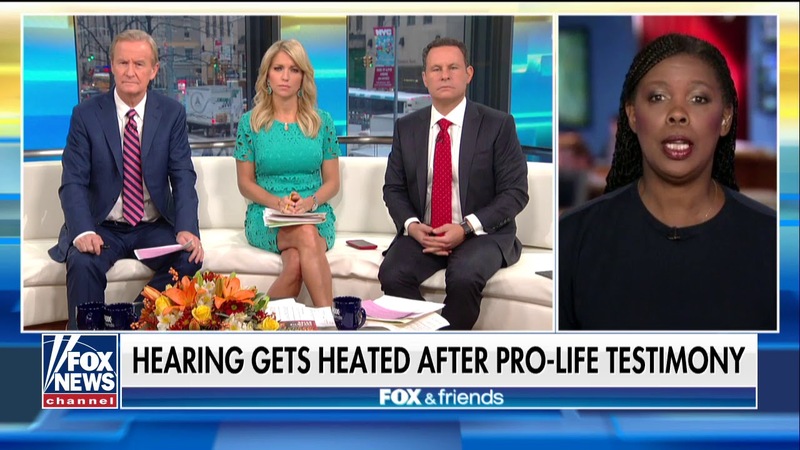 I appeared on Fox News today where I was asked about my response to Democrat Steve Cohen after he called me ignorant during an important congressional hearing on abortion. As you will see during this interview, I share my plans how we can fight back the left-wing assault on innocent human life and our freedom by actually going into places such as Cohen's district in Memphis, Tennessee to spread our message! If you want to see my team and me in Memphis to share our message with Cohen's constituents, be sure to share this video with your family, friends, and even your church members. And if you like my message, be sure to contribute financially so we have the resources to go into this district -- which has the highest black poverty rate in the country -- and change Americans' minds about big government. Thank you for all you do for freedom.